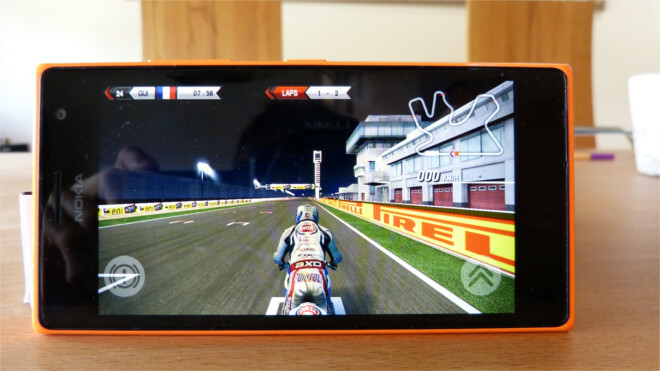 Home Review	Nokia Lumia 735 Review – You can feel it! Once again I got the orange version with its glossy plastic back. The flashy color is very attractive in my opinion and the smooth cover makes it feel very comfortable in the hand. Moreover it feels absolutely premium – of course not as premium as the Lumia 830 – due to the very sturdy construction. At first sight, it actually seems like the device would be build out of one piece. However, it is possible to remove the back cover to get access to the battery, the Micro SD card slot as well as the slot for the Nano Sim card (Lumia 735) or Micros Sim card (Lumia 730). As you maybe know I really praised how well this works on the Lumia 640 XL in my review. By contrast, on the Lumia 735 this process is really a torture – at least for me. After several attempts, I finally got the back off and I have to say I don’t want to do that very often. This is the downside of the nearly out-of-one-piece-build, however if you don’t change your SD card very often you won’t really be annoyed by it. To get back to the glossy back: As said it feels quite premium and actually more premium than the one found on the Lumia 640. There the plastic feels slightly more cheap. As far as fingerprints are concerned let me just say: you will notice them! 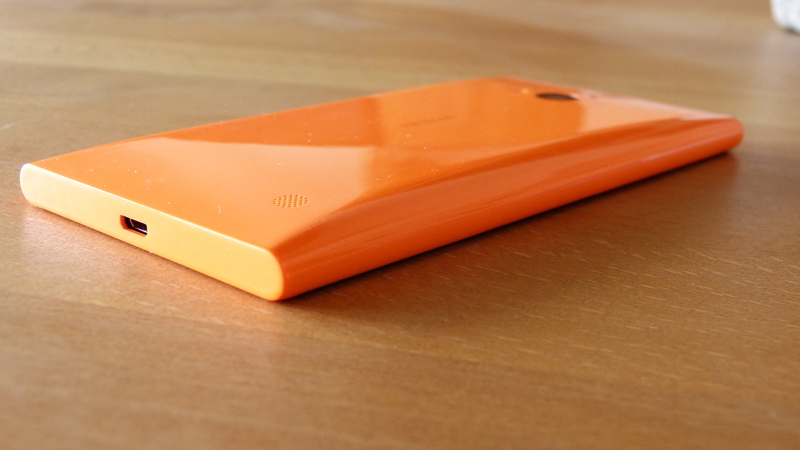 The Lumia 735’s design can be described as almost perfect. Not only is it unique but it also makes the device as comfortable to use as no other phone I’ve used so far. The left and right side are perfectly rounded to fit into your palm, while the top and bottom of the device are totally plan – which even let’s you put the device on a table standing on the bottom. Ok, there’s probably no use case for this position but still it’s worth pointing out. The whole back is slightly curved too. This curve and the rounded edges and the compact size (134,7 mm x 68,5 mm) make the Lumia 735 give the device the perfect feeling in the hand. 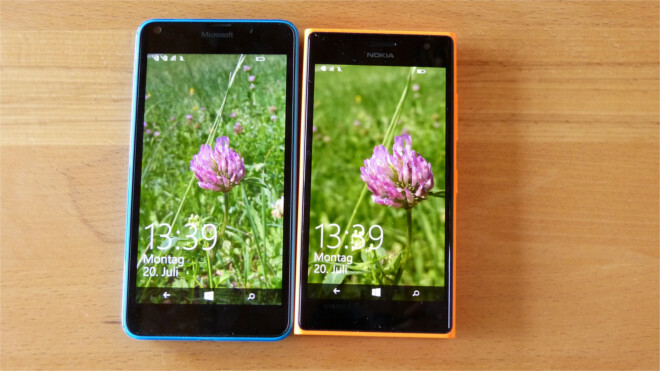 The Lumia 640 felt even blockier next to the 735 than it already is. Adding to the overall good impression, the Lumia 735 is very light at 130,4 g.
With a resolution of 1280 x 720 the Lumia 735 doesn’t have the highest resolution out there. Still 720p is more than enough for a 4.7” screen – I was pleased with the same resolution on the Lumia 640 XL as well, even though it has a much bigger screen. With 316 ppi the sharpness is actually higher than on the more expensive Lumia 830 (296 ppi), but of course this is not noticeable. If you’re really looking for individual pixels than you will notice them, however overall the screen is very sharp. Really nothing to complain about here. Overall, I am also pleased with the brightness. As with the Lumia 640 XL I’ve set the brightness on automatic most of the time. 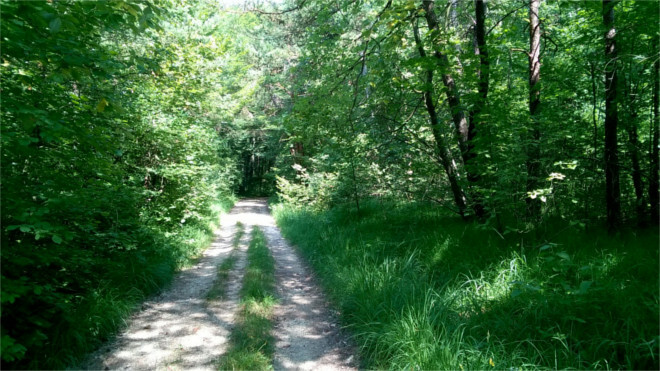 Despite being often slightly too dark in my opinion, there’s nothing I could complain about. The highest brightness level is good, sometimes I wished it would be a bit higher though. But during my usage time it also was extremely sunny, which wasn’t the case when I tested the Lumia 640 XL which I praised for its great brightness handling. On the other side the lowest level isn’t as low as you would wish for it to be in the night – the Lumia 830’s brightness can get lower and the Lumia 640’s one even lower. So the Lumia 735 is good for usage in brighter environment (maybe not in direct sunlight), but if you often use your phone at night you might find the display to bright. Thanks to the AMOLED screen colors are very strong and vivid. Since we’ve got color profiles you can even get more vivid colors by turning on “vivid mode”. Of course this might be too oversaturated for some of you but personally I really like those vibrant colors. Especially for viewing photos, AMOLED for me wins. Another advantage of this display technology are the blacks, which just are black and nothing else: no greyish black, no light black. Just very deep, extremely nice-looking blacks. Even the Lumia 830’s blacks, which are quite nice, just look to greyish when having both phones laying next to each other – especially on high brightness. But there are also disadvantages, aren’t there? For sure! As for the whites, you have to except to never really see a true, pure white. There’s always a yellow touch to them. Coming from an LCD display this really annoyed me at first, but you’ll get used to it very quickly. At the end of the day, I’m really impressed by the color reproduction of the Lumia 735’s display and I actually prefer it over the one of the Lumia 830. One word would actually be enough: satisfied! The viewing angles are pretty good and all in all I’m really happy with it. Ok, colors get slightly washed out and if you compare it with my iPod Touch 5. Gen, which has – let’s be honest! – a great display, the viewing angles aren’t that good. Anyway, most of the time I face my smartphone more or less directly and then colors and so on look really good. I already mentioned under Design & Build Quality that the compact size of the device make it very easy to hold in the hands. But what about the 4.7” screen? I have to say after using the extremely big Lumia 640 XL it was a pleasure to have a noticeably smaller display again – even though I really got to appreciate the bigger screen. Having said this, the relatively small display on the Lumia 735 has its advantages in some cases (one-handed usage and typing), still after all the 4.7” form factor is too small for me personally. Watching videos or browsing the web just wasn’t as enjoyable as on a phone with a bigger screen. But I just want to mentioned this again: This is a very subjective topic! 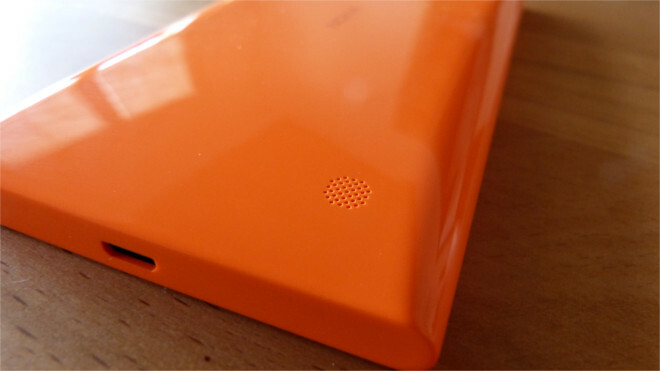 Like on many other Lumia phones, the 735 does have double tap to wake up the device. Furthermore it also supports double tap to turn off the display due to Update 2 and the on-screen navigation bar. As already mentioned so many times, I’m a huge fan of this gestures since they make turning on/off the display just much more convenient. That’s also the case on the Lumia 735 – but sadly not completely. Whereas the latter works absolutely reliable, double tap to turn on the display is – surprisingly – not a great experience. Sometimes it works and sometimes it doesn’t. I have to say, I’m disappointed here. Because if this doesn’t work 90 %< of the time, it’s not useful anymore. I don’t get anything out of it if I have to double tap three times and finally still need to press the power button to get the device turned on. Something I missed a lot is Glance Screen. Hope to see this feature being a part of the device’s successor (if there will be one)! The Lumia 735 has a battery capacity of 2200 mAh, which is exactly the same as on the Lumia 830. Given that fact it isn’t that surprising that I got about the same usage values out of the Lumia 735 as with the 830. You will definitely get through one day with one charge, while some of you will even get through 1.5-2 days. I’m sorry but I somehow can’t find my usage data anymore! Sorry! Like on most (or actually every?) 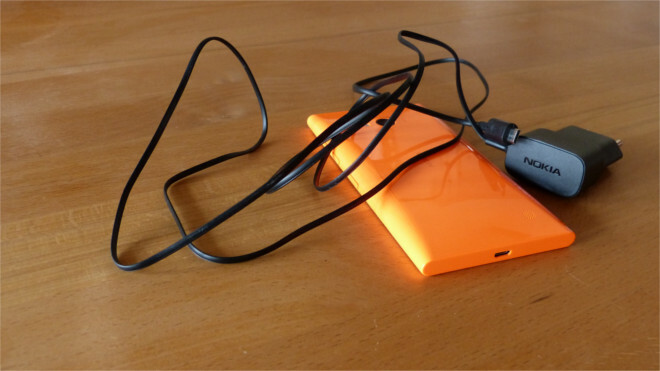 Lumia, the speaker found on the Lumia 735 is backfiring. This for sure isn’t an ideal placing and furthermore being at the bottom is a disadvantage too in my opinion since you block it more easily. I think Microsoft did a better job here with the Lumia 640 XL, where the speaker is right next to the camera. Still, I think you can’t really blame Microsoft for the positioning as even many high-end smartphones from other companies have their speaker on the back. Anyway, let’s move on the the quality which I would describe as “good enough”. You don’t really want to listen to music that often with the speaker but for podcasts, YouTube videos, games and so on the speaker’s quality is acceptably good. This topic is actually a very interesting one as I wasn’t really expecting too much from the Lumia 735’s camera since it just has 6.7 megapixels. The device showed me once again, that you cannot simply determine the camera quality by the amount of pixels. 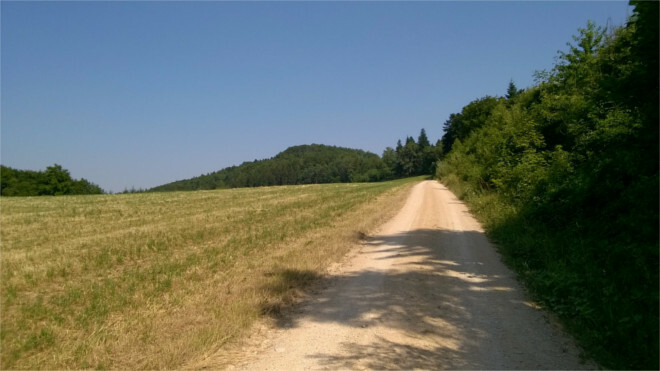 Of course the camera can’t compete with one found on the Lumia 830, still if you compare the output with the one of the 8 megapixel shooter on the Lumia 640, the differences in sharpness are very minor. 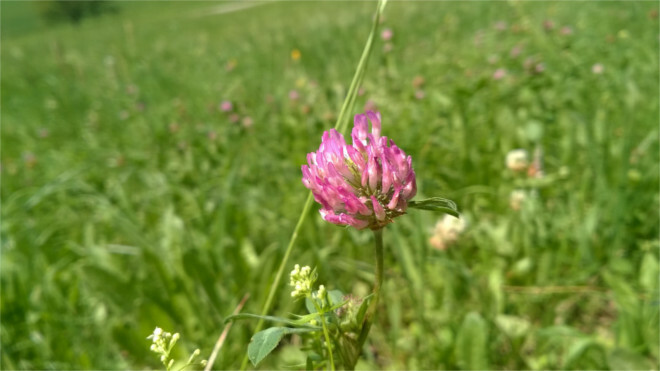 Pictures taken with the Lumia 735 not only look nice in terms of sharpness but also in terms of details and colors. If you zoom in, the pictures could be a little bit more detailed but that’s complaining on very high level (in this price point). Viewing pictures right on the display is also a pleasure – again the AMOLED screen just gives the picture this “Wow-effect” at first sight. Colors also look quite natural. Of course you can get better cameras – but since I wasn’t expecting that much and I found a great camera on the 735 I’m really satisfied. As for the camera application one thing has to be mentioned: Unlike the Lumia 640 (XL), which is ranged below the 735, the device doesn’t come with the Lumia Camera 5. Since I knew this already before, this wasn’t a huge disappointment. At the beginning I had to get used to the old interface again, which I’m not the biggest fan of, but I could get used to it. 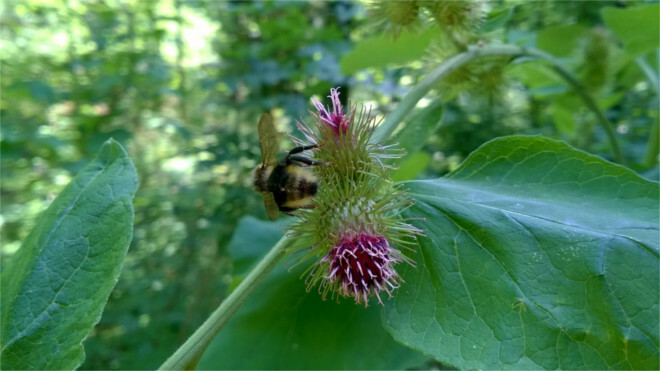 Launching the app takes noticeable longer than what I’m used to with Lumia Camera 5. With the Microsoft Camera there’s also a second camera app preloaded, although not listed in the app list. So all in all a great camera experience with some very nice pictures, while the camera app isn’t the fastest one. The Lumia 735 is equipped with a Snapdragon 400 and 1 Gb of ram – the same hardware as on the Lumia 640 (XL) and the Lumia 830. With that being said, it should be clear that there aren’t huge differences in terms of performance. Daily usage is very fluid and I very rarely noticed a stutter. Gaming performance is also acceptable with games like SBK 15 (a great game by the way) running very fluid and providing nice graphics. Also app switching was surprisingly quick. Nevertheless you will have to deal with resuming screens now and then. If you don’t need Glance screen and if you don’t need the best Speaker out there, the Lumia 735 is the perfect phone for you! And after you once held it in your hands, you don’t won’t to give it back again! I promise, you will feel it!